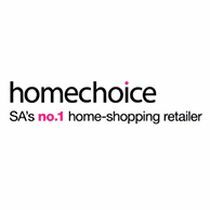 HomeChoice is a huge, JSE listed, digital channel with catalogue and online shopping. HomeChoice International PLC is an investment holding company incorporated in Malta and listed on the JSE. HomeChoice has operations in South Africa and Mauritius although 92% of it’s customers base is in South Africa. HomeChoice Group in South Africa consists of two brands. Retail operations HomeChoice, and personal loans and insurance products provider, FinChoice. Homechoice sells an extensive range of bedding, blankets, textiles, curtains, towels and bathroom accessories, luggage, lounge furnishings, home appliances, kitchenware, dinnerware, electronics, and men’s, women’s and children’s fashion and footwear to the expanding urban middle-income mass market. FinChoice on the other hand is a micro-lender and insurance broker that transacts predominantly online. Their presence in the group allows HomeChoice to offer credit to customers. HomeChoice has several external brand partners such as Queenspark, Ruff Tung , JCrew and Bronx. HomeChoice does not sell handsets and laptops, but their sister company fonechoice offers cellphone, laptop and tablet purchases. There are various separate T’s&C’s for fonechoice. HomeChoice is not simply an online shop but a digital channel. The channel uses various approaches to reach it’s customer base. On the ground there are Sales Agents in the community who make commissions from promoting HomeChoice products using a printed catalogue. Current customers also receive the monthly catalogue which undoubtedly helps build a word-of-mouth base. There is a call center and a call-me-back option using SMS. They offer a credit facility and use social media extensively to communicate with customers. Orders are placed through the call center or the website and HomeChoice is also active in Namibia, Botswana, Lesotho, Swaziland, and Zambia. To encourage visitors to use the website, HomeChoice offers Online Exclusives deals that are only available on the website and change monthly. To transact on HomeChoice you have to open an online credit account and supply documentation in compliance with the National Credit Act and FICA. The account is also a rewards program and the more you use it the better terms you receive. HomeChoice has to usual e-mail newsletter with a pop-up on your first visit, and you can subscribe without first opening an account. If the pop-up doesn’t appear there is a subscription link on the homepage. Payment of orders is either by cash or spread over 6, 16 or 24 months with the HomeChoice credit account. To make it easy to settle up the account amount due each month, there are a multitude of options. Apart from a Debit Order option for account payment, South African issued MasterCard and Visa debit, cheque and credit cards are accepted. They except EFT, ATM and direct bank deposit payments or you can pay your account at any branch of the South African Post Office. You can also pay your account at the Money Market counter at Shoprite, Checkers or Checkers Hyper stores, as well as at Pick n Pay, Foodworld, selected Spar, Score and Boxer stores, and at stores displaying the EasyPay or Pay@ sign. There are options for payment for those outside South Africa as well. Wow! Managing your account also has multiple channels. Apart from a printed statement, visiting your account on the website, or contacting the call center, the KwikServe service allows you to manage your account from your cellphone in a similar way to checking an airtime balance. Depending on where you live, HomeChoice will either deliver via courier or to the nearest post office. The type of delivery is communicated at the time of sale, and again when the order is dispatched. If you live in the Cape Town area, you can collect at the Showroom in Wynberg free of charge. The delivery fee in South Africa is 9% of the cash price, except on furniture and large appliance products which have an 11% delivery fee (to a maximum of R850). HomeChoice promises that deliveries take between 5 – 10 days from ordering. Furniture and large appliances are via courier BUT only in the Cape Town, Johannesburg, Pretoria, East Rand, Rustenburg, Bloemfontein, Durban, Port Elizabeth and East London areas. HomeChoice offers free Delivery Protection which covers your order against theft, incorrect delivery and damage. Their free Product Replacement Protection covers you against home theft, fire damage and natural disasters. Deliveries can be made to Namibia, Botswana, Lesotho, Swaziland and Zambia. Returns must be made in 14 days from the date that you received it, and the cost of returning items is refunded to you. There are T’s&C’s and no underwear can be returned. There doesn’t seem to be any minimum guarantee period. Each product has its own guarantee and if it is still within that period, they will repair or replace it if there is a manufacturing defect. As you can probably guess by now there are multiple support options with HomeChoice. The call center, call-me-back option, an e-mail address and the various Social Media channels all allow you to contact them and get your questions answered. This is in addition the many help pages that can be found at the bottom of all the website pages. Posted in Online Shopping and tagged appliances, bathroom, bedding, blankets, cutrains, dinnerware, electronics, fashion, footwear, furnishings, kitchenware, textiles, towels.